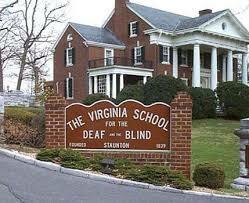 The Virginia School for the Deaf and the Blind at Staunton, Virginia is seeking a Guidance Counselor to provide personal, academic and career and technical education counseling to students enrolled at the Virginia School for the Deaf and the Blind. This is a 10-month position with 200 workdays per year and state benefits. * Collaborates with other school Guidance Counselor to ensure guidance services are consistent between all grade levels and students receive the necessary services for successful progression. * Provides personal and psycho-educational counseling in a one on one setting or group setting on a scheduled basis, in the areas of socio-emotional, academic and career development. * Provides specialized counseling sessions during residential hours as needed. * Provides support for Character Education programming as necessary. * Maintains the most current information in the School Counseling field by attending professional development opportunities. * Conducts informal and standardized career and technology assessments. * Conducts Classroom Guidance lessons related to Career/ Employment, Training, and Higher education opportunities. * Develops or serves as consultant for the development of transition plans in the Individualized Education Plans. * Serves as facility liaison to link students with outside agencies and coordinate vocational, educational and transitional services. * Works in conjunction with VSDB administration to develop and maintain class schedules for all high school students to ensure compliance with graduation requirements by gathering and coordinating information from students, families and VSDB staff. * Serves as a member of the Admissions team to evaluate information for potential placement of students. * Assesses potential success of student and determines class placement. * Serves as a member of the Student Support team to monitor the social-emotional and behavioral needs of students. * Serves as a member of the Threat Assessment Team to evaluate threats or risks on campus. * Administers and monitors testing with appropriate accommodations for entrance to workforce, colleges or higher education. * Serves as a liaison and support to the Mental Health Counseling agency on campus. * Serves as a liaison between home, school and community, and promotes effective resource utilization and positive relations with public entities in order to support transition from school to employment/higher education. * Provides information on training programs, activities and materials for families outside of the school setting. * Coordinates, plans and executes events with guest speakers from the community, recruiters, and representatives applicable to a student’s social-emotional well-being or future educational/ career aspirations. Note: A criminal history and driving record check will be required for final candidates.